The Australian food manufacturing industry is a place where innovation thrives. It's a sector that's often under pressure due to slim margins, high inputs and fierce competition. It's also an industry that faces many troubles, one of the most significant being the massive amount of food that's wasted both pre and post consumer. Here we take a look at the efforts of one company, Freeze Dry Industries, to minimise food waste and increase revenues for food manufacturers. Australia has a food waste problem. That's not quite fair - the world has a food waste problem, in which Australia plays its part. Approximately a third of the food produced worldwide each year for human consumption is wasted, according to the United Nations. In absolute terms, that's some 1.3 billion tonnes being lost or destroyed every year. A great deal of food is wasted before it even hits supermarket shelves because it's too ugly. A series run by ABC called "War on Waste" revealed, for example, that banana farmers are sometimes forced to throw away 40 per cent of their crop yield because the bananas don't fit the standards that supermarkets and other retailers set. The Australian Government has committed to lowering the country's food waste - they want to get the number down to half by 2030. This is an ambitious target, and will take concerted effort from food manufacturers and retailers, consumers and government alike. Companies like OzHarvest have a role to play in hitting this target. They're a food rescue organisation that collects excess food from commercial outlets like supermarkets and restaurants. However, much of the waste reduction has to take place pre-consumer, in the production of food itself. Very often the problem is fresh fruit and vegetables, which are of course perishable. The volume of food wastage is a mix of pre-consumer (produce rejected from supermarkets or lost in production) and post-consumer (produce bought and thrown out) items. While the solution for the latter relies more on changing consumer habits, the former is something the industry itself needs to solve. An innovator in this space is the company Freeze Dry Industries. They take food that would otherwise go to waste and free dry it, creating a new class of product. Founder and CEO Michael Buckley told profile magazine "We've got more people consuming more, food production is a high energy producer, and a carbon emitter, how can we use solar technology, use waste and feed the people in a highly nutritious way?" Take, for instance, the process for creating freeze-dried strawberries. Product that's been rejected by the market - because it's too small, for example - will come to the plant to be processed. The strawberries are frozen overnight to the point where they become incredibly hard. They're then placed into a vacuum chamber, where the moisture is extracted over several days. The result is a perfectly dry strawberry, ready to be packed up and shipped to retailers for sale. Buckley sees freeze drying as a way to create high-value, long shelf-life products. Not only that, it diversifies income streams for manufacturers, a real boon for those smaller operations whose fortunes may currently rely on a single fresh product. It's a simple strategy, but is one that tackles the waste problem head on, dealing directly with waste that comes in the manufacturing process. It's not just fresh fruit and vegetables that can be saved by innovation processes. Freeze Dry Industries have recently added a new product to their roster - freeze dried cheese. In this case, the idea is not to use food that would otherwise be rejected - but to create value by making a product that will last a great deal longer than regular cheese. So much so, in fact, that Buckley told ABC News, "we've captured something that's otherwise perishable and put it into a format that could last for years if not decades. Arguably it's space food." This is not an achievement to be sniffed at - the product is one that has the potential to reduce both pre and post consumer waste. That is, pre consumer in minimising the amount that supermarkets will throw out because it's run out of date, and post in the fact that consumers can keep the cheese for longer before it goes bad. 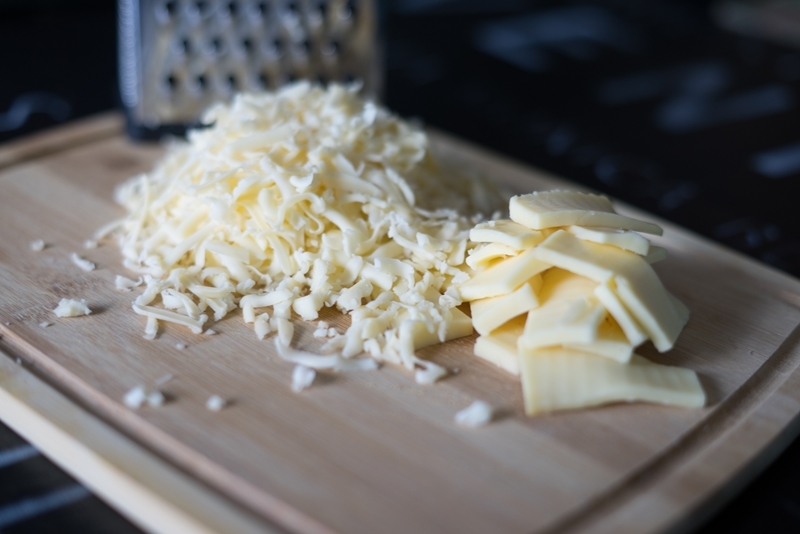 Traditional cheese can go off - but freeze dried cheese will last a whole lot longer. To get to the numbers the Government has in mind is going to take many more innovations of this kind. Exactly what the food manufacturing industry will serve up remains to be seen, but saving produce that would otherwise be wasted and increasing the shelf life of existing products - both innovations Freeze Dry Industries have established - are sure to be a big part of the mix. How can better software help? Product innovation is not the only way food manufacturing can become more efficient - production and management techniques have a role to play as well. That's where Advanced Business Manager comes in. It has optional modules that can be added to the base accounting system. For example, our Manufacturing module has bill of materials functionality, allowing you to easily manage and view the costs involved in an individual product. There's also recorded component wastage, allowing you to keep track of the amount of product that goes to waste. In short, it allows you to track your product better. When you know where things are, you're less likely to lose them in the manufacturing process, and more likely to have an efficient production run that minimises waste. For more information on Advanced Business Manager, and how it can help take your food manufacturing operation to the next level, get in touch with a member of the ABM team today.